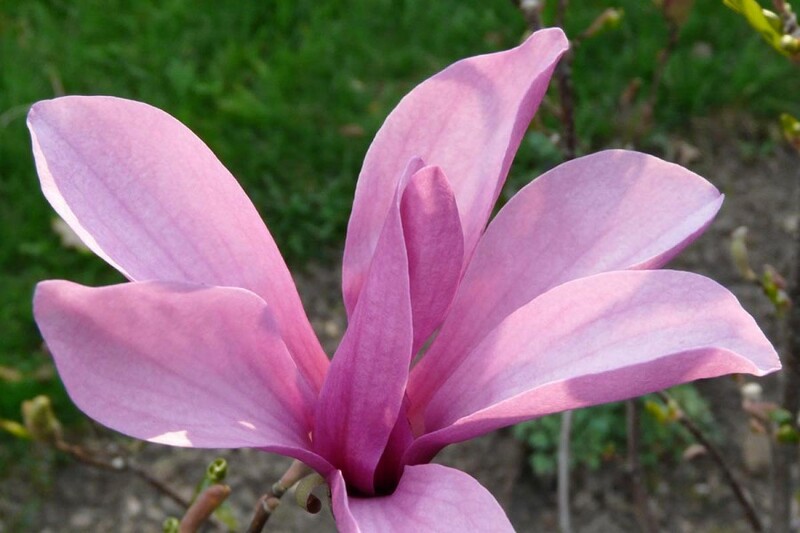 To wish all of you in the West a Happy Easter Sunday, I’ve posted this Magnolia blossom which I photographed in my garden in Grand Rapids during the March heatwave. Happy Easter and Passover! The first phase of the field work is the creation of access routes in and around House XVII and XVIII. For the first week, while waiting for the government to implement its budget, Department of Antiquities engineer Na’il Tuhamer and I (Bert de Vries) worked with only three stone masons to do initial cleaning and set work strategies. 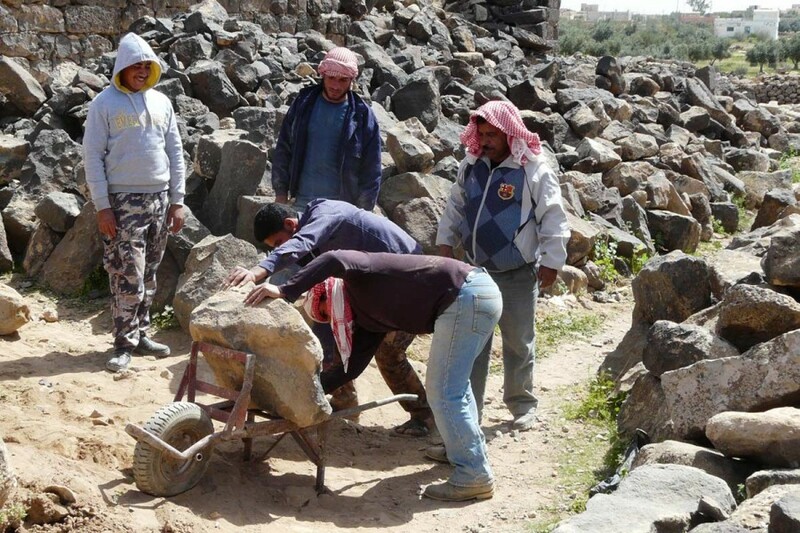 Yesterday, however, a crew of thirty workers from Umm el-Jimal began moving stone from the passages to designated areas. As you can see, they do this mostly by hand—and with amazing speed. They actually do very little lifting, but use gravity and leverage to move the stones and get them onto the wheelbarrows. The conservation crew’s clever stone management enables these rearrangements with a minimum of disturbance to the site and avoids the serious damage heavy equipment would inflict. Seven AM Easter morning: The main gate of House XVIII needs a little more clearance after the first day, but will be ready for excavation on Monday! Here are the ‘Thirty’ posing before their 10 am breakfast. Several of them had heard it was ‘my’ Easter, and wished me Eid Mubarak, which means, literally “Blessed Feast.” And I felt blessed.